The NBA regular season is basically over. 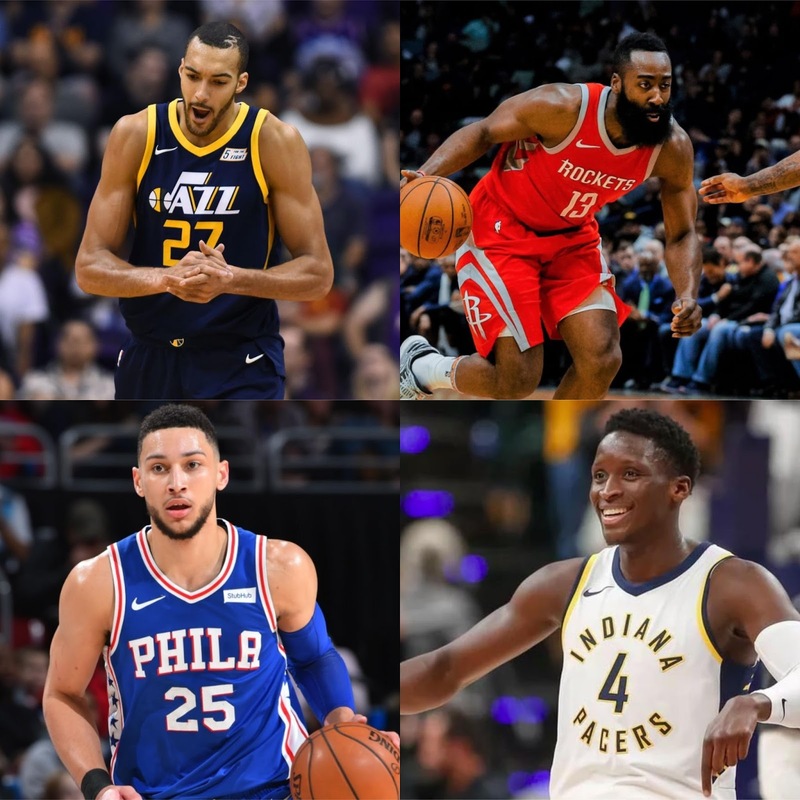 It has been a strange season with injuries abound, but as the playoffs near, things are definitely heating up as expected. Today, we wanted to take a look at the awards for the end of the season, going down the line to name a winner for every possible category (minus Executive Of The Year). Who will win Rookie Of The Year, MVP, etc? Let's take a look and crown the winners of the 2017-2018 NBA Awards. 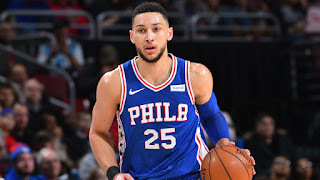 -It is as simple as this: Ben Simmons is the rookie of the year. His numbers are gaudy for a rookie, as he gets it done in all facets of the game. He can score, he can defend, he can rebound, he can do it all. The only thing he can't do is shoot a decent jumpshot. However, that's exactly the kind of problem or issue that a player can fix over time. Regardless, Ben Simmons is the runaway winner of this ROTY award, and the only competition he has is Donovan Mitchell, who is definitely a worthy candidate, but Simmons just has the all around game that impacts more on both ends. Still, if someone selected Mitchell, I wouldn't be mad. However, Ben Simmons is the true choice for Rookie Of The Year. 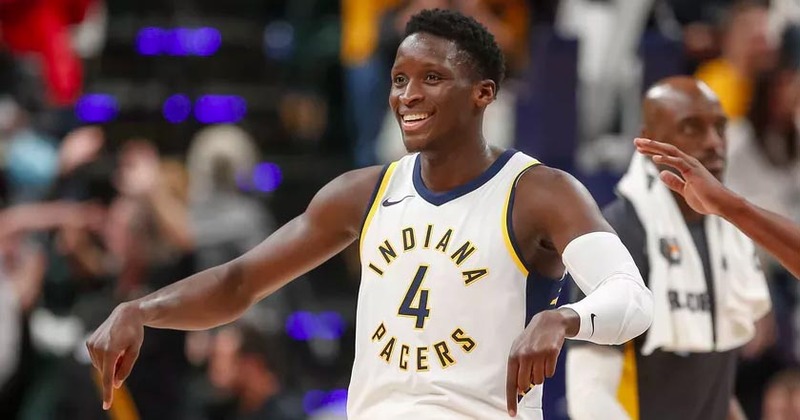 -It is almost amazing in retrospect to see how far Oladipo has come. Last year, he was second fiddle to Russell Westbrook for a Thunder team that struggled to make the playoffs despite the historic feat that Russ pulled off. Oladipo was solid last year, but in his new role in Indiana, he has become their star and the best player. If you are a Pacers fan, it has to be encouraging to see your star player executing so well, especially after losing Paul George. The Pacers are in better shape than they were last year, which speaks volumes to the type of year it has been for Oladipo. He might not make an All NBA team (he could), but he was an All Star for the first time and his numbers are pretty impressive this season (23.3 PPG, 5.2 RPG, 4.3 APG) and he made Pacer history by becoming the first player from the franchise to win the Player Of The Week honor three times in a season. That is without question enough reason to give him the MIP award. -There has been no one more valuable to keeping the playoff hopes of the Los Angeles Clippers alive quite like Lou Will. 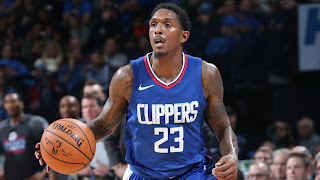 He has had some amazing scoring moments this year, and he's took over games for the Clippers multiple times. No one has provided a bigger spark off the bench for any team. One could argue Eric Gordon but his role has been inconsistent this season due to Chris Paul being on the Rockets. Lou Will was signed to go out and make an impact and he does just that with his scoring. After his career high 50 point performance, it was clear the winner of this award was Lou Will. There really isn't anyone else who fits this award this season. -Al Horford, Kevin Durant, Draymond Green, Joel Embiid, Paul George, and in a way, Anthony Davis were all real candidates for this award. However, the improvement of the Utah Jazz has made them perhaps the sleeper team in the West and the most deadly team in the NBA at the moment. 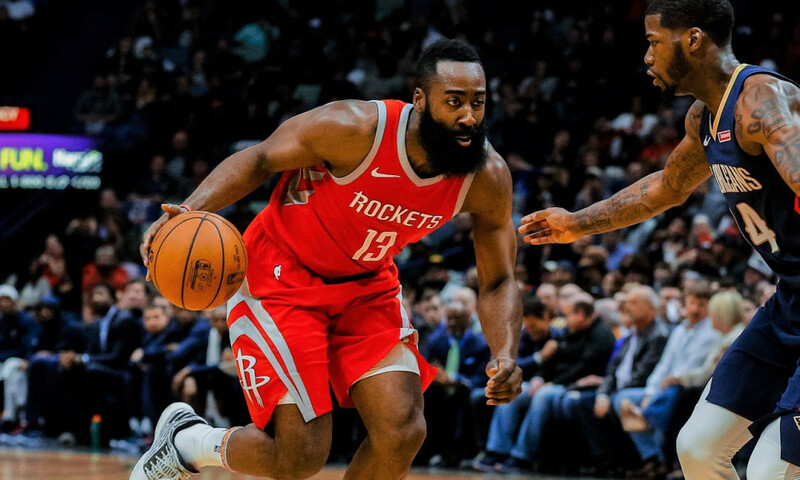 A first round matchup with Houston, Golden State, or Portland would cause trouble for each team, and the main reason for that is defense. 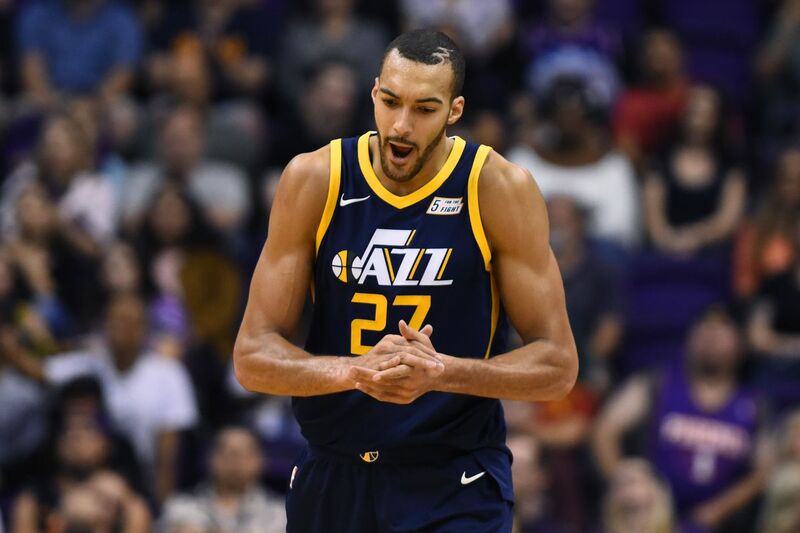 The anchor on offense is rookie Donovan Mitchell, but the anchor on defense is without question Rudy Gobert. Gobert has been the difference maker this season and he seems to be a lock for the victory as the DPOY in the regular season. -I don't even think it's close. At all. Honestly. Dwayne Casey is the next closest choice, and to be honest, he is deserving of some discussion because Toronto changed their style of play offensively and applied more pressure defensively, but the playoffs is where they might be likely to falter. The Celtics and their style of play and defense showcases that they can win games without Kyrie or Horford, which is a testament to Brad and his coaching. 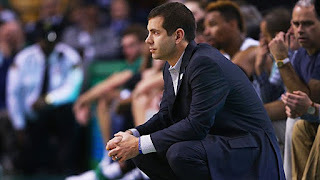 For me, the moment it was solidified that he was Coach Of The Year came early on in the season when the Celtics won 16 straight right after losing Gordon Hayward for the season. Brad Stevens is the clear winner of the Coach Of The Year. -Let me be clear.... if it wasn't for the Pelicans recent struggles, I would have given this award to Anthony Davis. The Pelicans were creeping up on the no. 3 or 4 seed at one point in the season, and now they are in danger of possibly losing the 8th seed in the heavy West. 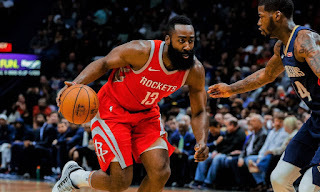 For me, Harden has regressed since the All Star Break, much like he did last season, but luckily due to his gaudy numbers and having the best record in the NBA, this award is without question going to him. While I disagree that he was robbed of the MVP ever before, anytime you can have a team that can get 60 wins alongside the no. 1 seed in the West for the first time in years, then your case is made. He isn't an unanimous MVP, but he will end up as the clear cut winner of the award and for this season, rightfully so.